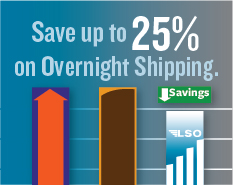 Sign up for LSO™ WebShip and save! Did you know you can save time and money with WebShip? WebShip is FREE to existing customers. Choose WebShip and you can save up to $3.50 per shipment by simply printing out your own label. If you are not already a LSO™ customer, create an account here or please call customer service at 800-800-8984 to create an account before you activate WebShip. And many more online benefits! 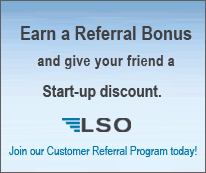 Here is where you sign up additional WebShip users for your existing LSO™ account. Fill out all of the information below and a Confirmation will be sent to your email account.